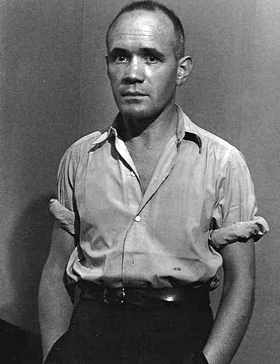 Sun, Dec. 19, 8 p.m.: It is said that Jean Genet wrote his masterpiece, Our Lady of the Flowers, on toilet paper while imprisoned in Paris. I was always fascinated by that. Imagine being so moved to write that you pen a book on toilet paper, even after prison guards discard your work? In a celebration of artistic creativity, the miniBAR in Carroll Gardens, on Court and 4th Place, on Sunday is hosting a post-humous birthday celebration for Genet, who passed away in 1986, after a festival in his honor in Williamsburg. Genet was born in Paris on Dec. 19, 1910. He grew up a ward of the state, living in foster homes and orphanages until he joined the military at the age of 19. He was labeled a delinquent at a young age and spent time in and out of prison until he was in his thirties. He became a darling of the French artistic elite, and was embraced as one of France’s most visionary writers. He published poetry, novels and plays and constantly sought to express the perspective of the “outsider.” He traveled widely, living among outcasts around the world. He died in Paris on April 15, 1986.